Hello, My Name is Shelby! 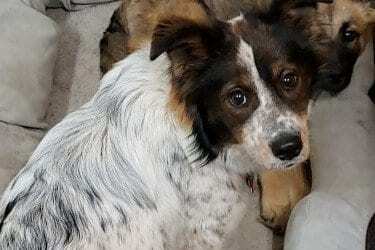 I’m an 8 month old Australian Shepherd mix. approximately 20 lbs. I love playing with others dogs & kids. I would love to found a forever family to call my own. I have had all my shots, spayed, microchipped and have been checked for heartworms. I would love to have a fenced-in backyard and sleep in a warm bed at night. If you are a True Dog Lover & are looking for a new family member. I’m your girl. Please ask for adoption application. I look forward to meeting you soon!